Now that your tournament is all setup and ready, you want people to know about it! Be it to have participants register, or attract sponsors, you need to promote the competition and make sure the specialized press talks about it. Beyond your social networks communication, you have to think about other potential targets, such as online communities, news websites and game portals that can also spread the good word. Identify them, list them and find their contact information! Next up, you have to provide them with relevant information! Make their life easier by giving them your Tournament Widgets, so that they only have to integrate an embed, and can then enjoy a timely and up-to-date coverage of your competitions effortlessly. Now, they can focus on great storytelling, interviews and other bonuses. Information in this widget are dynamically displayed, and evolve throughout the tournament, from the registrations to the Winner, with latest results, upcoming matches and more! 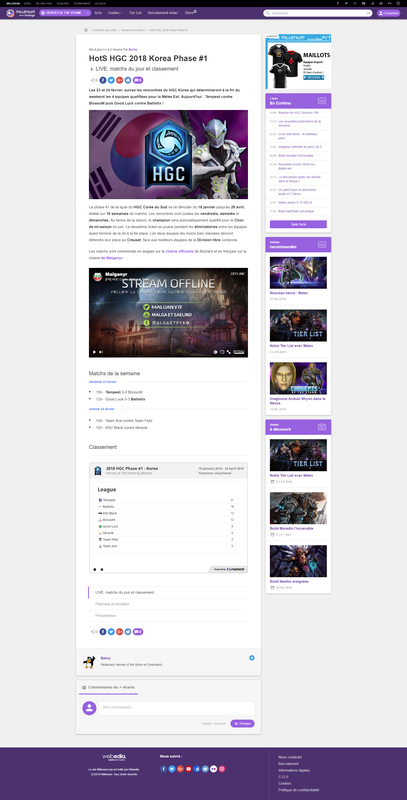 Streaming widgets from Twitch or Youtube and stage widgets from Toornament are also a perfect combination to be sent to the press! Follow these few steps, and see the great content generate hype around your events!